One of my favorite parts of writing for Fourth & Sycamore is the opportunity to talk to authors about their books and understand better what went into the creation of the stories I’m reading. 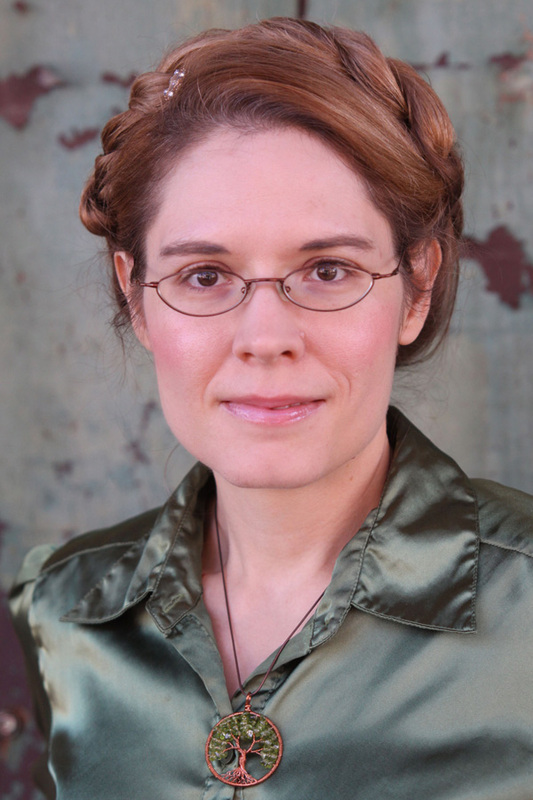 I recently had the privilege of talking with Beth Cato, author of the new steampunk novel The Clockwork Dagger. 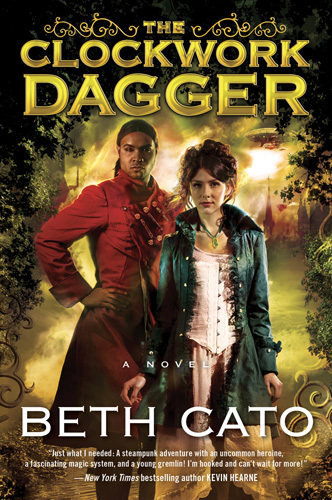 The Clockwork Dagger is Beth’s debut novel, but it’s written with the steadiness and skill of an established author. Full of fantasy adventure, suspense, intrigue, and a bit of romance, The Clockwork Dagger has been featured and praised by the New York Times, USA Today, NPR, Entertainment Weekly, and others. When you’re done reading Beth’s interview, head to GPL to check out this wonderful new book. Fourth & Sycamore: First of all, I absolutely loved The Clockwork Dagger. Can you share with us how you got started writing, and how you got into steampunk? Beth Cato: I was one of those little kids who, at age four, loved to write, illustrate, and staple together my own books. My obsession with horses soon led me into historical fiction and then into the fantasy genre. When steampunk emerged as a literary genre, I was there and ready to read! It combines historical fiction and fantasy in fresh, fun ways. F&S: Who are some of your influences and heroes as a writer? Beth: C.E. Murphy’s Walker Papers urban fantasy series taught me how to write deep characters and constant action. I also love Elizabeth Moon’s novels, from her epic fantasies to her space operas. She inspires me on a personal level because she was a prolific author even as she raised a son with autism, which is what I’m also doing. 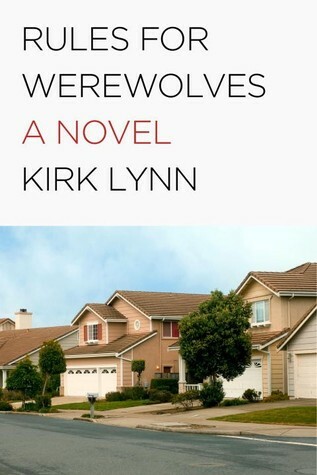 F&S: What was your process for writing this book? Did you know what would happen before you started writing, or did you come up with the characters and world and just let it unfold as you wrote? Beth: I’m very much a plotter. I like to write up character biographies and world-building documents and outlines before I start. That said, this book required extensive revisions before it was ready to send out to publishers. My agent is a fabulous editor, and she sent me through several full draft rewrites over several months. 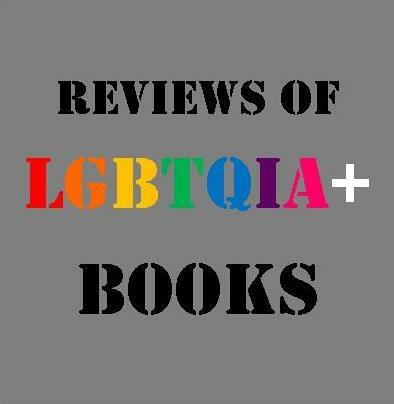 F&S: Your novel has decidedly feminist overtones, which I found wonderfully refreshing for this genre. Some of them are addressed directly in the text – the male gaze, victim-blaming, Octavia bristling when it is suggested a woman shouldn’t travel alone or can’t carry her own bags, her lack of need for a man to provide for her, the patriarchal confusion between virginity and purity – while some are more thematic – Octavia’s obvious talent and power as a very capable heroine, her repeated rescuing of a prominent male character, etc. Can you talk a little about writing a fantasy novel with those elements and themes? Beth: For me, it was important to create a heroine who is still very much a woman of her time period and one who is both strong and resourceful. I wanted her physical strength to be a more prominent trait than beauty. There is a lot more feminist fantasy being written these days, and it’s wonderful. It’s empowering. It’s hard for me to read some of the classics where the woman is simply a pretty thing in need of rescuing. I’d much rather go with the Princess Leia type and follow a character who might be captive, but that by no means is a sign of weakness. – from The Clockwork Dagger. 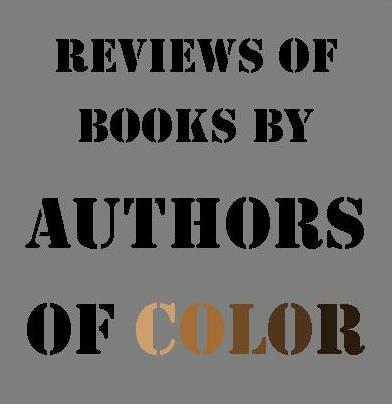 F&S: Without ever being heavy-handed about it, your book actually goes against the grain in the fantasy genre by centering a number of characters of varying minority groups – women, persons of color, persons with disabilities, etc. Was that a conscious choice, given how unfriendly fantasy and science fiction have historically been to any protagonists who aren’t white males? Beth: Absolutely. We live in a colorful world, and it’s only right that secondary world fantasies (those that are don’t take place on Earth) are just as colorful. I also wanted to show that people with disabilities might have different obstacles to overcome, but they are still hero material. F&S: Your novel also seems to address the issue of faith, presenting spiritual belief in a very positive, healthy light. There is a contrast in the book between those who depend on science and technology and those who believe in a higher spiritual power. Does that in any way reflect your own perspective on life and spirituality? Beth: When I wrote Octavia, I didn’t base her on myself, though I’m from a family with strong faith. As you pointed out, her religion is shown in a positive, healthy light, and that was really my intent. A lot of fantasy books show faithful characters as being an extreme in a negative way, or they relegated to roles as supporting characters. I wanted to show a different perspective. F&S: Octavia is most at home when she is out in nature and feels very ill-at-ease in crowded cities. Do you relate to that feeling? Would you prefer to be in a rural setting? Beth: Yes, this is where my own personal preferences really are reflected by Octavia. Like her, I’m from an agricultural area—I was born and raised in the San Joaquin Valley of California. I love open fields and trees. I live in Arizona now, in the Sonoran desert west of Phoenix. I really miss greenery, but even so, I’m the odd ball who goes for long walks in the desert when it’s 110-degrees. I feel that intense need to get out in nature and think. Cities don’t allow me to do that. F&S: If someone reads The Clockwork Dagger and enjoys it as much as I did, what other steampunk authors should they check out next? Beth: I highly recommend Max Gladstone’s Craft Sequence series, which starts with the book Three Parts Dead. It’s not pure steampunk, but the gritty elements are there even as it melds dystopia, urban fantasy, and a fascinating magic system based on legal documentation. There are also Cherie Priest’s Clockwork Century books, where the American Civil War has dragged on for decades and Seattle is a wasteland overrun with zombies. Boneshaker is the most famous in the series, but my favorite is actually Dreadnought. F&S: The end of The Clockwork Dagger seems to hint at more to come from these characters. Will we be reading about Octavia Leander’s adventures again in the future? And how long do we have to wait? Beth: You won’t have to wait too long! It’s intended as a set of two books, and the sequel, The Clockwork Crown, is due out on June 9th, 2015. I hope to write more stories set in this world, too. People can find out the latest news on my website, BethCato.com, and connect with me on Facebook and Twitter. F&S: Thanks so much for being willing to talk with us today, Beth. The Clockwork Dagger is available now at Greenville Public Library.